J’ai adoré mon séjour à l’auberge! Le staff est génial et les déjeuners extras!!! Je recommande! Thank you for all the staff who really create a mom's house ! Definitely a stay I will remember as one of my Tulum highlights, highly recommend !! Staff génial, gérant adorable, ambiance trop sympa (tous les soirs une petite animation jusqu’à 23h - parfait pour ne pas perturber les couche tôt), chambre spacieuse et climatisation à disposition toute la journée, petit déjeuner excellent, hyper central, bref le plan parfait à Tulum ! 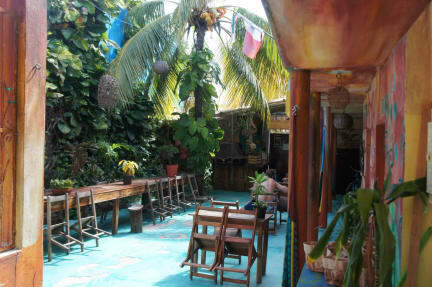 All the staff is amazing (big up to Tibault & Mariana), the place atmosphere reflects exactly Tulum’s vibes ! This hostel is really amazing: the staff is really nice and they organize activities every evening in order for people to meet. They even provide you free barbecue and drinks some nights. The atmosphere is perfect: all travelers are friendly and evenings are the perfect balance between party and chill. Breakfasts are made by a Mexican cook and are just awesome. Totally worth it for the price! Auberge très agréable avec personnel chaleureux qui se soucie de chacun. Beaucoup d ustensile de cuisine. Très bon petit déjeuner. Des propositions d'activités tous les soirs. Bien situé. Pas de clé sur la porte du dortoir par contre. 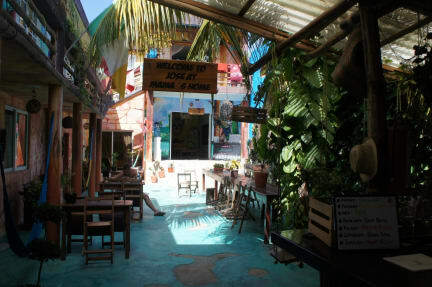 Mama’s home is a very nice hostel in tulum located in the centre, so the bars and restaurants are just 2 blocks away! José and the whole team are very friendly and welcoming and the breakfast must be one of the best I’ve ever had! We’d probably take a private room the next time, since the dorms are very hot at night and there are people snoring very loudly ;). I think that there are not enough Bathrooms / Wc for the dorms on the 1st floor, we had to share 3 with 4 rooms. See you in May! I did not stay there much but it had a good vibe and cool people. Great location, staff were helpful, the fuss about breakfast might be too much. Ambiance à la Springbreak. On perd en authenticité ce qui est dommage pour un voyage au Mexique.